The partner of missing novelist Helen Bailey has been charged with her murder. Ian Stewart, 55, appeared at Hatfield Remand Court earlier today (Saturday 16th) and was charged after the body of the 51 year-old Electra Brown author was found in the garden of her home in Royston. Police said Stewart, of Baldock Road in Royston, has also been charged with perverting the course of justice by reporting Ms Bailey as missing and hiding her body, and preventing a lawful burial. A post-mortem examination is due to take place on Monday while specialist searches at her home continue. Detectives made the gruesome find in the grounds of Ms Bailey's sprawling £1.3m seven-bedroom home, three months after she was last seen walking her miniature Dachshund, Boris. 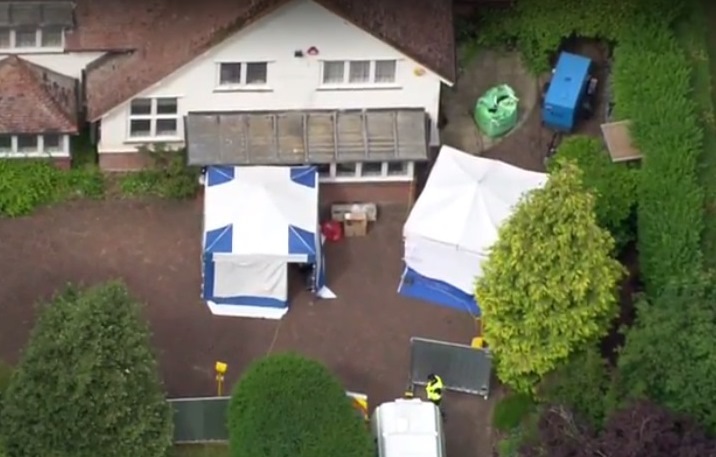 Stewart was re-arrested on suspicion of murder on Friday, having previously been arrested on Monday, when specialist teams began searching the property, Hertfordshire Police said. The 51 year-old Ms Bailey was well known for her character-based novels, including the coming-of-age series featuring lead character Electra Brown, and the subsequent Daisy Davenport novel aimed at slightly older readers. Ms Bailey was last seen several weeks after the fifth anniversary of the death of her husband, John Sinfield, who drowned on a holiday in Barbados in February 2011. In April, following her disappearance, extensive searches were carried out at Ms Bailey's holiday home in Broadstairs, Kent, where friends originally said they believed the author might have gone in order to have "some time to herself. In a note issued in the wake of Ms Bailey's apparent disappearance, Stewart said: "Helen wherever you might be I hope you hear this message and listen carefully. We miss you and Boris so much. We are shattered in so many ways. You bring so much to so many people in ways you don't even realise. Whatever has happened, wherever you are I will come and get you and Boris and give you whatever you need." Mr Stewart was remanded into custody and is due before St Albans Crown Court on Monday.